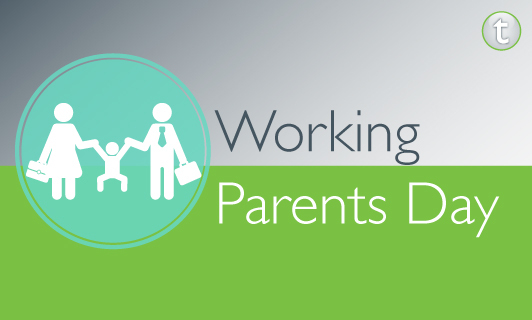 In honor of Working Parents Day (September 16), I wish I could tell you how much progress has been made in supporting working parents in the U.S. The fact is the U.S. is the only developed country that does not offer paid parental leave. According to the US Bureau of Labor Statistics, more than 70 percent of moms and 92 percent of dads with children under 18 work or are looking for work. That leaves us with the inevitable struggle of work-family balance since the workplace has not kept up with the modern family. Before becoming a mom, I definitely anticipated that my life would change, but I don’t think I could fully realize the challenges of balancing two lifestyles until I was living it. Luckily, I’ve come to find that working in public relations for a decade has prepared me for life as a parent. Here are four PR lessons I’ve been able to use in my role as a parent. Planning is required for success. As my team knows, I am a BIG fan of lists and grids to track on every detail of our events and programs. When it comes to being a working mom, advanced planning is the only way I make it to the office each day. Gone are the days of waking to an alarm (unless you count my toddler) and leisurely drinking coffee before taking a train to the office. These days, prep starts the night before and requires a timed morning routine. Despite careful planning, many things are beyond your control. (Deep breaths) I’ve found the most stressful part of working in PR is that even when you cross all your “t’s” and dot your “i’s,” there are always multiple factors beyond your control. Whether it’s a spokesperson who goes off the rails or major breaking news on the day of your satellite media tour, there are countless times when you must cross your fingers and pray to the PR gods. This lack of control has prepared me for mornings when my sweet little boy decides that he does not want to wear clothes or shoes and barrel rolls around the room until I finally pin him down only to realize I now need an outfit change. Never let them see you sweat. When you’re faced with an unexpected turn of events, half of the battle is keeping a brave face and reassuring your clients and team (and self), that the situation can be turned around. When it comes to toddlers, they are like little mirrors of your emotions. If I show any sign of weakness, he can sense it and totally takes advantage. Praise may not come often, but when it does, it’s awesome. As an agency, a big part of our job is to make our clients look good, so we are often the ones behind the scenes executing programs or placing stories. When you receive a nice note from a client to acknowledge this effort, it makes your day. On a day to day basis, being a working parent can be exhausting and not overly rewarding. But when you’re little one suddenly runs over to hug you and says “love you mommy,” totally unprompted, it’s enough to melt your heart and make you forget how he gritted his teeth and yelled “No, mommy!” when you stopped him from running into the rosebush. So, my fellow working parents, when times get tough, think back to that last sweet “love you” or hug and know that there is light at the end of the tunnel and you’re doing an amazing job.